Panuchos — one of the dishes served at Chichen Itza. With the rise in popularity of authentic regional cuisines, some 52 million visitors are expected to visit the Yucatán Peninsula this year according to the Mexican tourism agency. The Global Heritage Network has named 2012 the Year of the Maya, and folks in the Yucatán see it as a time of renewal and worthy of celebration. 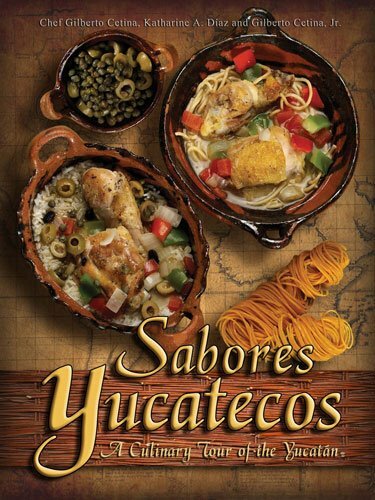 Just in time for the year-long celebration is the new cookbook Sabores Yucatecos: A Culinary Tour of the Yucatán (WPR Books:hardcover, $27.95), which explores the foods of Mexico’s Yucatán Peninsula. “I am very proud to present this cookbook that delivers the tastes of my homeland—the Yucatán,” says Chef Gilberto Cetina. “We have captured the essence of a cuisine with an allure that matches the mystique of the ancient Maya with Spanish, Middle Eastern and Dutch influences mixed in. The cookbook also features recipes for the region’s banana-leaf-wrapped tamales and a wide selection of refreshing tropical drinks and delicious desserts. Chef Gilberto Cetina: My mother inspired me. She used to cook for loggers in the small town of Colonia Yucatán, and as a young kid I would help her and watch her. I became really interested in cooking, something that stayed with me even though I studied engineering and worked as a civil engineer before I came to the United States. Katharine A. Díaz: Even as a young girl, I liked being in the kitchen. I loved to collect recipes, which I carefully catalogued. And I loved cooking for my school friends. I remember winning a cake-baking contest when I was in fourth or fifth grade. Who is your greatest cooking influence? KD: My mom and Chef Cetina. What are some of the biggest challenges you face in running a restaurant? GC: Running a restaurant is really a challenge because you have to stay on top of so many things. You have to worry about inventory, staffing, dealing with the public, staying on top of all business matters, equipment upkeep, maintaining a clean kitchen, etc. But I think if I had to pick the biggest challenge, it would be consistently offering a product that people want to come back for time and time again. What is your favorite dish to eat/cook? GC: Puchero de tres carnes. What three ingredients do you always have in your refrigerator/pantry? GC: Chile habanero, recado rojo and naranja agria. KD: Recados, vinegar and chicken stock (when I want to cheat). What would people be surprised to find in your kitchen? GC: As many as 10 people working at the same time in the kitchen! KD: Every kind of gadget that you can think of for cooking. You name it; I probably have it. What inspired you to write this cookbook? GC: For me, it was obviously a chance to share my pride in Yucatecan cuisine. While it is becoming known this side of the border, it is really a very special cuisine that surprises most people when they learn it is Mexican. And, of course, I wanted to honor my mother who really taught me about the wonders of cooking and Yucatecan cuisine. KD: Chef Cetina inspired me. 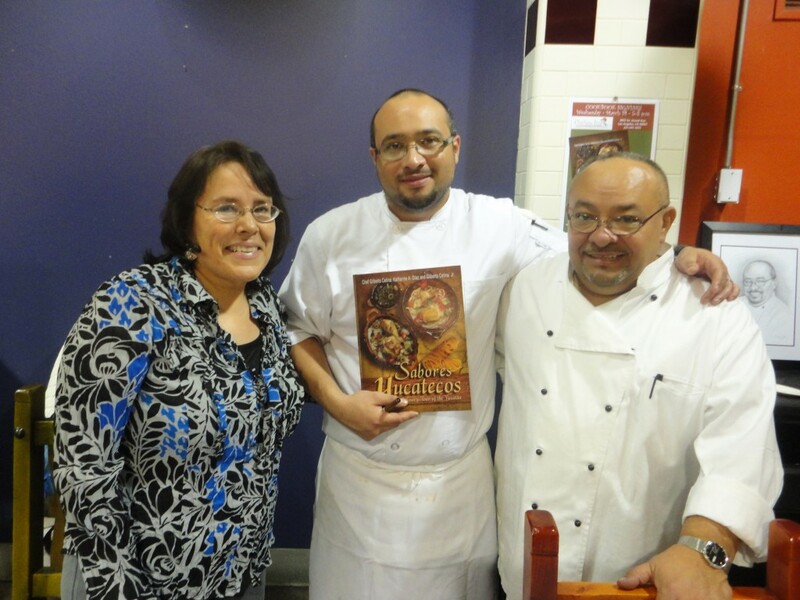 While I have written about Latino cuisine for a long time, I had never written a cookbook. But when Chef Cetina suggested the idea, I signed on. It even got better when it was clear that he would share all his culinary secrets and everything he knew about Yucatecan cuisine with me for the book. What were the biggest challenges you faced when writing the book? GC: Understanding the publishing world was a big learning process. But we were very happy to find a publishing house that gave us a lot of control over the book. Then testing the recipes, the way Kathy wanted them tested, and completing the photo shoots were also very labor intensive. KD: I agree with Chef Cetina on all of the above. From my perspective, I would also say that writing the recipes was one of my biggest challenges. None of the recipes were written down, so I literally wrote them down as Chef Cetina recited them to me. Then I had to interpret and write them up following recipe-writing standards. It was a very time-consuming process. For those who are not familiar, can you explain the differences between Yucatecan Cuisine and Mexican Cuisine? 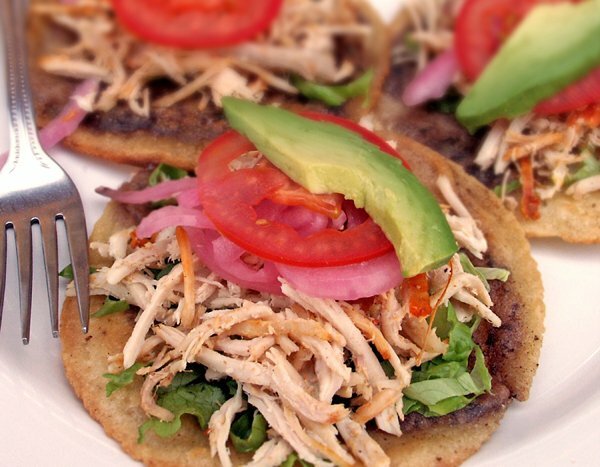 GC: Yucatecan cuisine is one of Mexico’s many regional cuisines and one of its best! It reflects its roots, the ingredients that are native to the area and its influences. Our roots in the Yucatán come from the Maya; our native plants and animals include chaya, squash, corn, beans, turkey and venison; and our influences come from the Spanish, Lebanese, Dutch and French. Our food reflects all of this in unique and delicious ways. What do you think the “next big thing” will be in Yucatecan/Mexican cuisine? GC and KD: We think that Yucatecan cuisine and its unique ingredients will be the “next big things” in ethnic cuisine here in the United States. Even now cochinita pibil and panuchos are featured in Mexican and non-Mexican restaurant menus. And when people start experimenting with recados, they will find all kinds of things they can do with them to add that little extra something to their regular cooking. And, chile habaneros and chile habanero sauces are sure to become more and more popular. In your new cookbook, what is your favorite recipe that we must try? KD: I am going to have to mention two that are real crowd-pleasers—cóctel de camarón and queso napolitano. What advice would you give to aspiring Latino chefs? GC: I advise aspiring chefs to get as much experience as they can. Studying culinary arts is great, but it’s really important to get real-world, hands-on experience. Restaurant kitchens are hectic places. Also, I think it helps to know the front-of-the-house side of the business as well as the food-prep side of the business.